Ever have one of those nightmares? The kind where you can’t move or speak. It’s as though you’re being pinned down by a heavy weight. You wrestle and squirm underneath the unseen heaviness. Held down by the invisible, tossing, turning. Bound. You try to scream. You can’t part your lips. A crowbar couldn’t pry your mouth open. The jaws of life are unable to bring life. You’re muffled. You’re muted. You’re voiceless. I’ve been there. Literally and as a euphemism. I didn’t know I had lost my voice until that glowing glimmer in my eyes began to fade. My eyes. They saw too much. They saw what they were never meant to see. Left glassy, stoic, bitter, cynical and seeing but void of vision, my eyes mimicked the vice around my vocal chords. Tightly squeezed shut and left for dead. I didn’t know I had lost my voice and that my prayers, now numb, obligatory and sporadic, had become silent. I didn’t realize I had stopped crying out to the Lord. I didn’t realize I had stopped crying. Subtle movements, as though one in a coma, went undetected by those moving around me at warped speed. My responses, if any, were at a snail’s pace. In shock. Damaged. Stuck. Bound. Immobile while moving. Had to move…’cause life kept moving. Life made it clear that it would. With or without me. Then I was on my way to work one day. Pouring out my laundry lists of complaints to the Lord that had started off as a half hearted prayer of thanksgiving and request for protection. 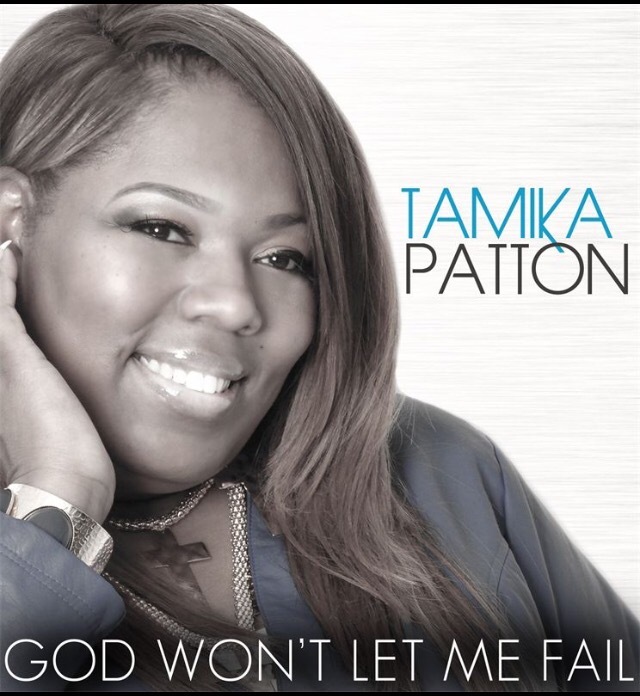 I got an email alert on my phone from my friend Tamika Patton, a recording artist back on the east coast. It was unusual for her to contact me that time of day. She’s a homegirl of mine that falls in the category of friends that you don’t see or talk to that often, but you can pick up right where you left off no matter how long it’s been. Every single interaction with her has been authentic, drama free, educational, vibrant, fun and inspiring. It had been some time since we’d spoke. Quite a while. However on that day, September 18, 2012 at 7:33 am her email had a different tone. I pulled over to the side of the road to read it and the unrequested, unexpected, healing words of life and encouragement she wrote, resuscitated me. She had no idea I had flatlined. Smiling but flatlined. Laughing and flatlined. Going to work every day but flatlined. Never missing a Sunday at church but flatlined. Still married, still mothering, still there for everyone else but flatlined. Oft referred to as “leading while bleeding”. Speaking but voiceless. She was referring to me but didn’t know this was one of the moments and that she was my earth angel. She spoke life to my spirit and rejuvenation at the precise moment in my life I needed it most. That priceless, life changing moment…and only the Father and I knew. And then… as a newborn baby, with its nose and mouth gently suctioned, my lungs were jolted and I began to cry. As one who travailed, these tears were different. *Photo Credit http://www.TamikaPatton.com. No copyright infringement intended. Absolutely Maria! Thanks so much for sharing! Grateful! Powerful imagery! Been there…thank God for allowing us to find our way again! …and again…and again…thank you LORD.. The tears this cry, “They were encased in a sound that had once again been found…Superimposed with hope as though it had no choice… Ah there it is… There it is… My Voice”. Hallelujah…yes! I remember! Was as though God himself gave me mouth to mouth resuscitation. Oh, Jesus I’ll never forget what you done for me….🎶 thank you for your beautiful writings sis!!! Yes ma’am… Love you Dia. Miss you much. May we never forget! Absolutely amazing. You can feel the emotion in your words. Thank you for sharing your Voice and giving a voice to others!!! God knows when we need new breath and He knows when to give it! A wonderful testimony to what He did for you. Your metaphor of being a new born baby pictures what happened so well. Thanks for sharing. Your stories are so refreshing! Have you ever thought of writing a novel? 🙂 I enjoy all your work thus far! Hey Karen…don’t think of it at all though it’s been said. Thanks for the encouragement to keep writing. I’m blessed to hear it’s been a blessing. Your writing allows a reader to get the feel the experience, not just read it. Thanks for this post! Thank you for that & thank you for reading…I’m so grateful. Ericka, unbelievable. This post resonates deeply. Tamika’s quote sent chills. You two are both doing God’s work. You are both angels on earth who divinely bless us – you with your words, she with this quote and with her music. I was so moved that I quoted Tamika on tumblr and linked to Tamika’s site and your moving post. Thank you. God bless you and Tamika. Fell in love with the lyrics…you had me at hello! Thank you again, blessings! THANK YOU SOOOOOO MUCH!!! Bless you! My God!.. why? why? I just begun to cry reading this.. I’m at that place.. at this exact moment. So broken.. yet happy on the outside.. I so needed to read this.. Going to check out the song now.. Thanks! Omgoodness your comment brought tears to my eyes. Thanks for letting me know it spoke to you. Will keep you in my thoughts & prayers. Next Next post: DEAR ISAAC or Should I Say…HELLO LAUGHTER? !